This sign is for Goodrich British Road Tested. The sign’s colors are red, white and black. 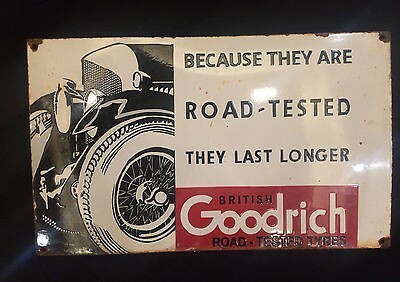 The text on the sign reads: Because they are road tested they last longer British Goodrich road tested tires. The sign shows a car drawing to the left and text to the right.